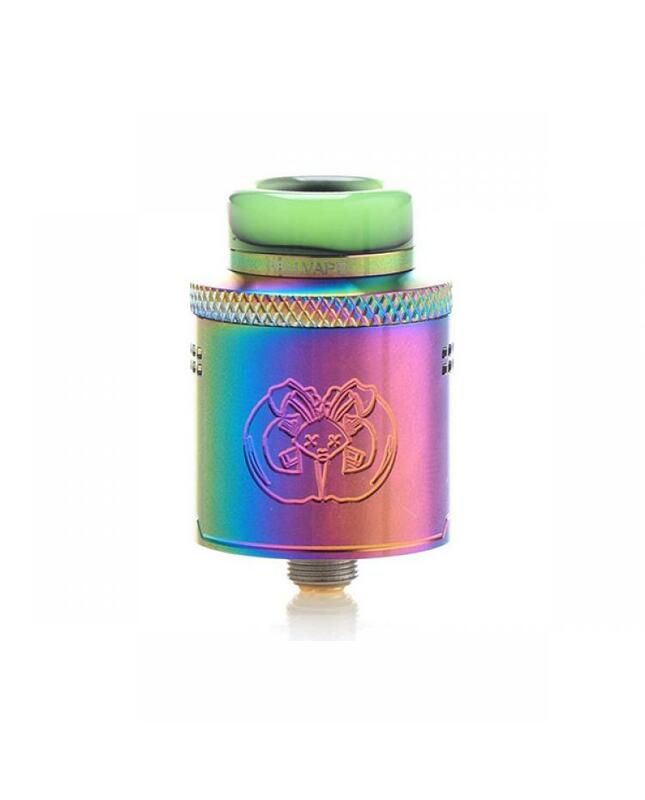 The Hellvape drop dead RDA tank, diameter 24mm, 8 fashionable colors available. the proven building deck to easily build your coils in and trim coil legs, it supports single coil or dual coils. 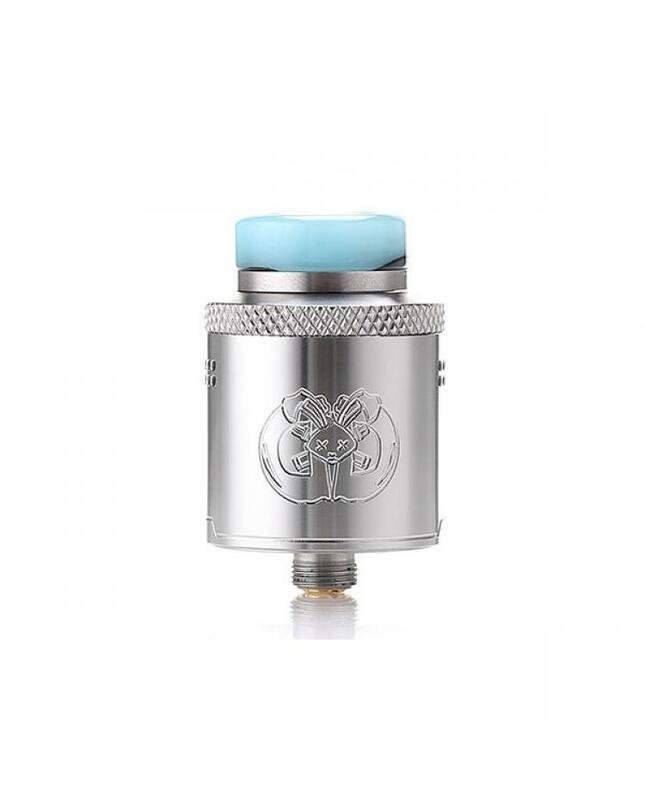 the deep juice is convenient for dripping or squonking with maximum leak resistance. 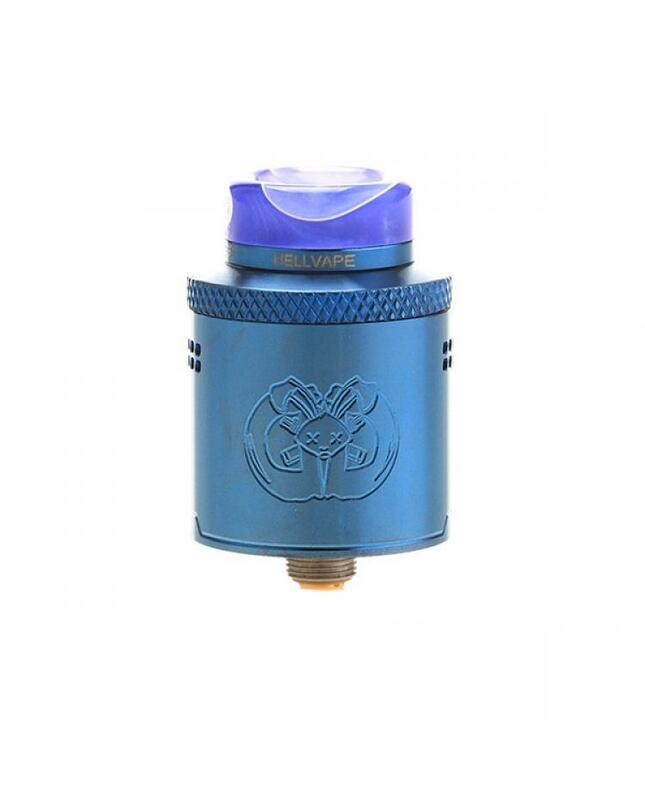 the intelligent high side downward sloping airflow to maximize and minimize leaking,14 airflow holes for a turbulent free pull and worry-free purging, the smart airflow design will hit the center of your coils every time, will deliver a large cloud of vapor and dense flavor. 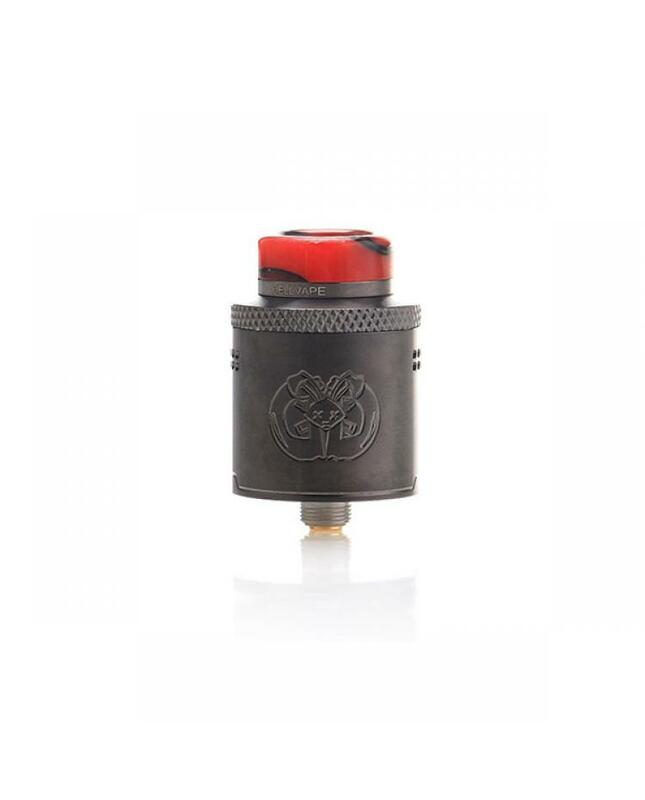 the knurled top cap to adjust the airflow with ease. 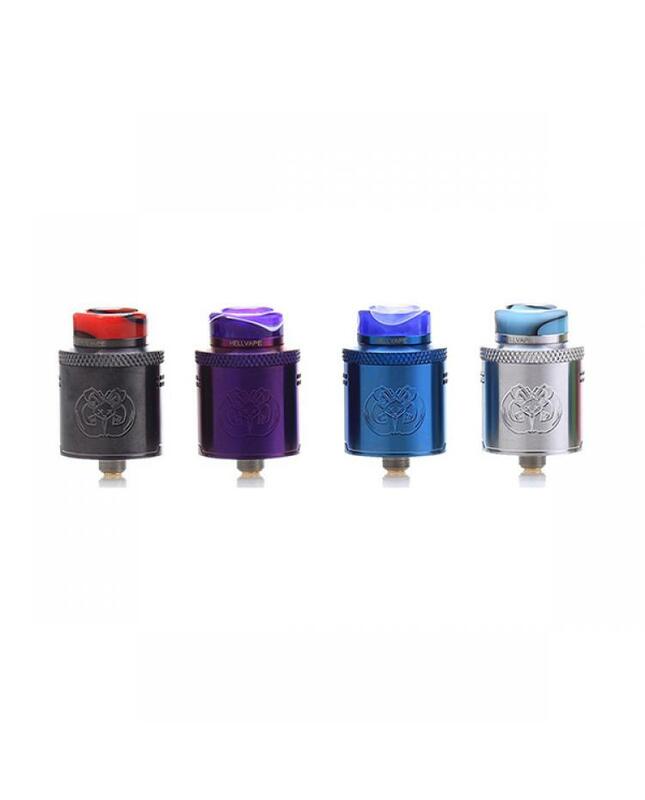 two high quality 810 drip tips and 510 drip tip adapter included, vapers can install the 510 drip tip easily.it also include the standard positive pin and raised BF squonk 510 pin, recommend works with other squonk box mods.